With Wimbledon on the horizon once again it always brings out the discussion about tennis being an overly elitist and expensive sport in Wales and in Britain, and the governing bodies of tennis not doing enough to challenge this situation to make tennis a more open and accessible sport across the community. This has probably been fair enough in the past, but in recent times things have been changing dramatically. Tennis in Wales and in Britain is really on the charge to take tennis to the people across all communities, and to radically change the perception of tennis and change the way the sport can be accessed and played across all communities. 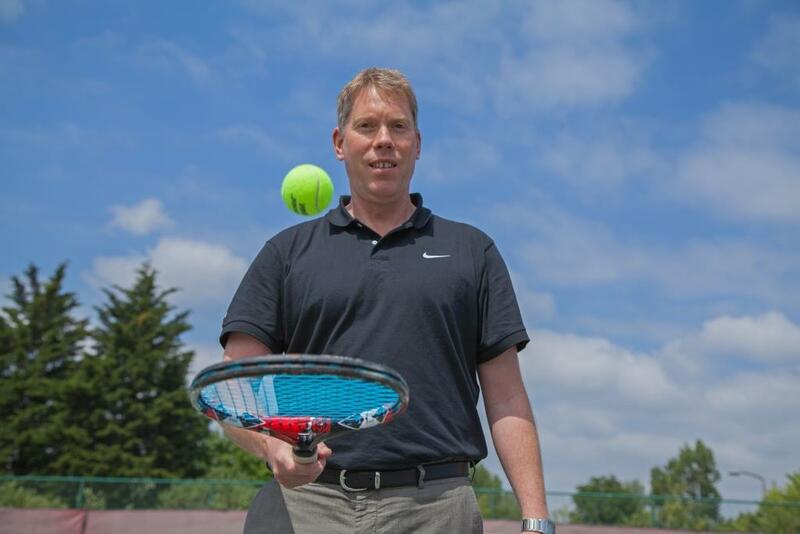 Historically the focus of the governing bodies of tennis, including Tennis Wales and the LTA, has been predominantly on trying to develop and grow tennis through the traditional members tennis clubs. This is still a significant priority, however, extensive market research has clearly shown that by far the biggest percentage of people interested in tennis would rather play it in a less formal setting such as on the local courts in parks, leisure centres, and schools. They want their tennis to be quick, flexible, and affordable. So with this in mind Tennis Wales and their three main partners, Sport Wales, the LTA, and the Tennis Foundation, have launched headlong into tackling this challenge of radically changing the culture and perception of tennis in Wales and taking tennis to the whole community. Ambitious plans were set by Tennis Wales in 2012 to hugely increase tennis participation across Wales, especially in schools and recreational tennis in non-traditional community settings. Partnerships have been formed and plans drawn up with key community partners such as the Local Authorities, schools and teachers, Street Games, the Urdd, Community Leisure Centres, and Disability Sport Wales. In partnership with the Tennis Foundation and Local Authorities, more than 900 schools across Wales have had teachers attending free tennis training courses and have received a free tennis equipment pack for the school with tennis racquets, balls, and portable mini tennis nets. A huge audit has been conducted on the Local Authority parks tennis courts across Wales to establish where there are local playable parks courts for the general public to be able to access for casual tennis. These courts are now being promoted as widely as possible to the community because the research clearly showed us that one of the biggest barriers to tennis participation in the community was a lack of basic awareness by the public about where the nearest public tennis facilities were. New, easy to play and time friendly tennis formats have been introduced which allow anyone of any ability to play tennis. These include Mini Tennis, CardioTennis, TouchTennis, Tennisxpress, and Timed Tennis. Over the last two years, in partnership with the LTA, Tennis Wales has supported tennis clubs, leisure centres, and parks tennis facilities to help them promote and implement three weekends across every summer period of free tennis open fun days for the local community. In 2015 the first of these three free tennis weekends resulted in nearly 1,000 members of the public taking part across Wales. This included a fantastic story in Rhyl where a great partnership between the Denbighshire Local Authority, Tennis Wales, and Sport Wales was able to support a fantastic group of committed local community volunteers to get the old run down park tennis courts fully upgraded and re-opened as a sparkling, brand new community tennis club. The opening day attracted an incredible 160 people from the local Rhyl community who got to hit tennis balls and have their photo taken with local Rhyl Hollywood star Spencer Wilding. The Tennis Foundation has also come to the party with their new support packages for the Community Indoor Tennis Centres across Wales and Britain to help ensure that these crucial community tennis facilities are able to maximise their tennis opportunities to the local community. In 2014, in partnership with Disability Sport Wales and the Tennis Foundation, Tennis Wales has established four ‘Disability Tennis Networks’ across Wales to help provide a tennis pathway for people with disabilities. These disability networks have already significantly increased the number people with a disability who are now playing tennis in Wales. As well as this, there has been a big drive to develop a huge and effective tennis workforce across Wales to help drive and deliver all these new community tennis activities. Already more than 1,200 teenagers across Wales have undertaken the ‘Young Tennis Leaders’ course which trains them on how to deliver fun tennis activities and fun competitions. Dozens of adult ‘Community Tennis Activators’ have also been trained so that they can do the same thing in communities where there either aren’t any qualified tennis coaches available, or where it is difficult for children to be able to afford to pay for a professional tennis coach. With the support of the LTA and Street Games, these Community Tennis Activators are being provided with free tennis equipment packs and supported to set up free ‘Pop Up Tennis Clubs’ in non-traditional tennis communities and in non-traditional settings such as a leisure centre, or even in a car park. While it is still early days in the big drive to take tennis to the community in Wales and transform the tennis culture in Wales, already we have seen some really major successes. The percentage of primary schools delivering tennis in Wales has increased from 40% to 79%, and we have seen the number of school children taking part in the annual schools team competition more than double to over 4,000 children from every corner of Wales. According to the last Sport Wales School Sport Survey, tennis is now the 4th highest participation sport in Wales for primary school children, behind only Football, Cycling, and Rugby, and we have also seen the number of regular recreational adult tennis players increase from 27,000 to 45,000. There is a long way still to go to create the huge, all inclusive tennis participation culture across Wales that Tennis Wales and its partners are striving to achieve. But some extremely encouraging early progress has been made. And the more people playing tennis in Wales, the greater the chances that a future Wimbledon champion might just pop up from some little local community tennis programme somewhere in Wales. You never know, and it would certainly be nice!